The Volunteer Railroaders Association in conjunction with the Black River Railroad Historic Trust is proud to announce a special photographer’s Photo Freight on Saturday, June 25th featuring the Black River & Western #60. 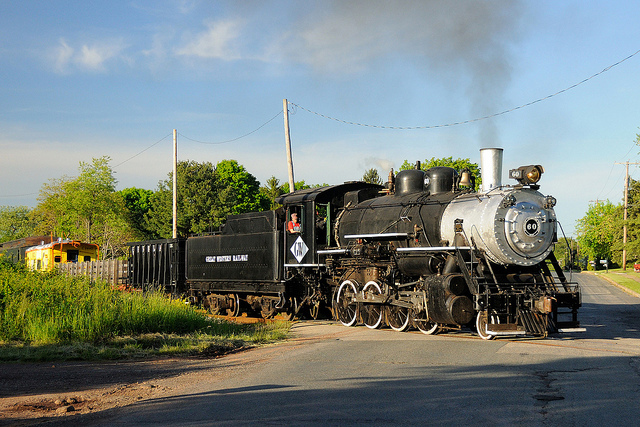 The #60 is a 2-8-0 Consolidation and is New Jersey’s oldest operating steam locomotive. The train will be made up of passenger equipment, freight cars, and even a caboose. At least 7 photo run-bys will be staged along the route between Three Bridges and Ringoes, which will give everyone the chance to get some great pictures. The day will start at 2:30 pm in Flemington where participants will meet to find out all the details for the day. When the last regularly scheduled train of the day arrives, it will head for Three Bridges instead of turning back for Ringoes. Due to “excepted track” we will not be able to board the train for this leg of the trip, but instead, we will follow the train and be given the chance to take some very rare photos of the #60 and her train. After a few photo run-bys, the train will return to Flemington where passengers will board for a round trip to the end of in-service track at Boss Road in Ringoes. Along the route the train will stop a number of times for more photo run-bys, some at locations not accessible to the public. When completed passengers will reboard the train for a non-stop run back to Flemington and then head out for dinner on their own. As darkness arrives a Night Photo session will take place for up to 30 photographers in and around the Ringoes yard and station. A variety of scenes will be set up featuring the #60 and other equipment operating on the BRW. Passengers can choose to ride in coach for $40, Club Car for $60 or for a select few you can ride in the Caboose for $50. The night photo session is limited to only 30 participants and can be purchased for $25. A special combination ticket is being offered in coach for $55, Caboose for $65 and Club Car class for $75, each a $10 savings. Tickets can be purchased here or by calling 973-238-0555 and leaving a message. Be sure to buy your tickets early as there a very limited quantity available and are sure to sell fast. This event is being run as a fundraiser for the VRA and to help raise funds needed for the BRW to return service to the line to Lambertville. 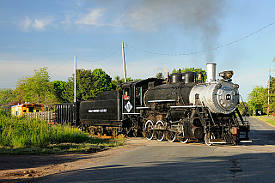 You are encouraged to visitwww.blackriverrailroad.com for more information and to donate directly to this effort. We have 2 options for pricing, the first is as a combo if you purchased a ticket to the Photo Freight ($15), the other is if you want just the Night Photo session ($25). If you intend on purchasing the Combo Photo Freight ($15) above: please put the confirmation number from your ticket purchase in the ‘Confirmation Number’ box (above). This will allow us to prove that you made a train purchase and are thus eligible for the discount.